I have completed many types of inspections that include structural, electrical, air conditioning systems, heating systems, roofing and plumbing components. I am a Board Certified Master Inspector (CMI), Certified Mold Evaluator, Certified Thermographer (Thermal Imaging), Certified Commercial Mold Inspector (CCMI), State Certified Septic and Lagoon Inspector. As a Home Inspector with Property Inspections and Home Builder experience, prior to entering the Home Inspector Trade, you will experience the ultimate in professionalism from your first contact with us through the inspection, delivery and explanation of your report. I follow the SOP (Standards of Practice) set forth through my professional Membership during the inspecting of Real Estate. These standards can be viewed at (http://www.nachi.org/sop.htm). To become a Professional Home Inspector I completed technical training and certification, acquired membership with the largest Home Inspection Organization in the United States (InterNACHI) and became professionally certified. 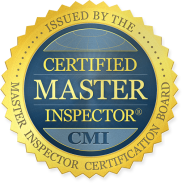 I was mentored by a CMI (Certified Master Inspector) for two years and have performed over a 1,000 home inspections and services in many cities and counties in Missouri since 2009 . Below is only a sample of my education and experience that qualified me to become one of the few highly trained and educated inspectors in my trade. It is the highest honor of a home inspector to become a Board Certified Master Inspector. Education, Training, Ethics and Time in the Field (Home and Commercial Real Estate Transactions) is what makes a CMI stand out from the ordinary. 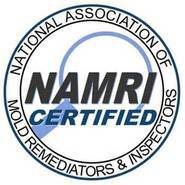 Board Certified Master Inspector Classification for Home Inspection. Master Inspector Classification for Fee & Loss Mitigation as a Field Agent. Member of InterNACHI - The Largest Home Inspector Organization in the World.